Collaborative Law is a model for resolving the issues which need to be addressed when married couples separate. Both clients retain separate, specially-trained attorneys whose purpose is to represent his or her client so as to assist in resolving these issues fairly and equitably without either going to court or threatening to do so. Indeed, attorneys hired for a Collaborative Law representation pledge not to go to court under any circumstances. If the attorneys do not succeed in helping the clients resolve the issues, they must withdraw from the case. All participants agree to work together respectfully, honestly, and in good faith to try to find “win-win” solutions which meet the legitimate needs of both clients and their families. The parties agree to utilize neutral appraisers and evaluators where appropriate and to avoid subjecting their children to court-appointed forensics. Why should I consider collaborative law? 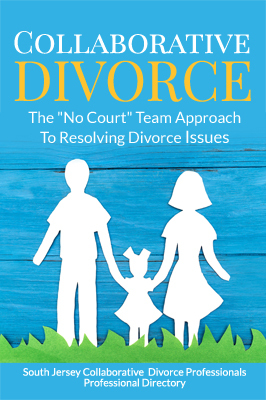 The collaborative process is designed to remove as much fear and anxiety as possible from decision-making in a divorce. Collaborative practice recognizes that the experience of ending a marriage or relationship is hard enough. Professionals should not make the experience worse by adding to the conflict or by causing either partner to feel more threatened or vulnerable than they do already. Collaborative practice ensures that each marriage partner has accurate information, sound legal advice, solid support in problem-solving and decision-making, and sincere assistance in laying the groundwork for respectful working relationships after the process is over. What’s the difference between Collaborative Practice and conventional divorce proceedings? In a conventional divorce, parties rely upon the court system and judges to resolve their disputes. A contested divorce proceeding, in the eyes of the law, is a civil lawsuit much like other civil lawsuits. Traditionally, one party serves the other with legal documents that ask for everything a court could possibly award them. The other party responds with a counter-suit, asking for the same awards from the court. Both parties, through their attorneys, then wait for a series of court hearings to move the case forward over a period of months or in some cases even years. Negotiation in conventional divorce is usually done through the parties’ respective attorneys – a process that is often lengthy, bitter, and filled with “win-lose” proposals. Typically, the proposals do not solve the problems, so the issues must be submitted to a judicial officer for decision. Unfortunately, in a conventional divorce you often come to view each other as adversaries, and your divorce may be a battleground. The resulting conflicts take an immense toll on emotions – especially the children’s. Collaborative practice brings couples, their attorneys and other professionals together before either party is served with divorce papers. The court is not involved while the parties structure a mutually acceptable written resolution of all issues to submit to the court as a final decree. Collaborative practice is by definition a non-adversarial approach. The parties and their attorneys pledge in writing not to go to court. The attorneys negotiate in good faith, and work together with you to achieve mutual settlement outside the courts. Collaborative practice eases the emotional strains of a breakup, and protects the well-being of children. What’s the difference between Collaborative Practice and Mediation? In mediation, an impartial third party (the mediator) assists the negotiations of both parties and tries to help settle your case. However, the mediator cannot give either of you legal advice or be an advocate for either side. If there are attorneys for each of you, they may or may not be present at the mediation sessions, but if they are not present, then you can consult them between mediation sessions. When there is an agreement, the mediator prepares a draft of the settlement terms for review and editing by both you and your attorneys. Collaborative Practice allows you both to have attorneys present during the negotiation process to keep settlement as the top priority. The attorneys, who have training similar to mediators, work with their clients and one another to assure a balanced process that is positive and productive. When there is agreement, a document is drafted by the attorneys, and reviewed and edited by you both until everyone is satisfied. Both Collaborative Practice and mediation rely on voluntary, free exchange of information and commitment to resolutions respecting everyone’s shared goals. If mediation doesn’t result in a settlement, you may choose to use your counsel in litigation, if this is what you and your attorney have agreed. In Collaborative Practice, the attorneys and parties sign an agreement aligning everyone’s interests in resolution. It specifically states that the Collaborative attorneys and other professional team members are disqualified from participating in litigation if the Collaborative process ends without reaching an agreement. Your choice of mediation or Collaborative Practice should be made with professional advice. Collaborative attorneys view their professional obligations differently from traditional adversarial attorneys. Collaborative attorneys view the other attorney not as an adversary but as a partner in a problem-solving process. This is often referred to as a “paradigm shift.” Instead of dedicating oneself to grabbing the largest possible piece of the pie for their own client, no matter the human or financial cost, collaborative attorneys are dedicated to helping their clients achieve their intentions for themselves in their post-divorce renegotiated families. Collaborative attorneys do not act as hired guns. Nor do they take advantage of mistakes made by the other side. They do not threaten, insult, or focus on the negative either in their own clients or on the other side. They encourage the good-faith problem-solving approach from their own clients and themselves, and they stake their own professional integrity on delivering that, in any collaborative representation that they participate in. While Collaborative attorneys owe a primary allegiance and duty to their own clients, they know that the only way they serve the best interests of their clients is to act with, and demand, the integrity from themselves, their clients, and the other participants in the collaborative process. Collaborative Law offers the potential for creative problem solving that arises when two attorneys are pulling in the same direction to solve the same list of problems. Attorneys are natural problem solvers; however, in conventional litigation, they tend to pull in opposite directions. Collaborative attorneys can only succeed if they find not only solutions to their own clients’ problems but constructive ways of addressing the other party’s concerns that are satisfactory to their client. How do you keep everyone from fighting? How do you get the information you need to proceed? We determine what the parties have in the way of assets and income using a business-like “trust but verify” approach. Rather than engaging in expensive legal “discovery” procedures which take a great deal of attorney time, parties commit in the Participation Agreement to disclose information voluntarily and to verify it with documentation, such as tax returns. What happens if one side or the other is dishonest in some way, or misuses the process to take advantage of the other party? Collaborative practice is designed to guard against dishonesty. If there are questions about whether information being provided is accurate, collaborative attorneys can request source documents from an employer or banking institution. Most couples realize that it is in their best interests to remain honest and allow the process to work. What is “Collaborative Team Practice”? Collaborative Team Practice is a new, multi-disciplinary approach to helping families make decisions related to separation or divorce. A multi-disciplinary approach has been used for some time in medicine and other professions, but is just now gaining popularity in the legal profession. In Collaborative Team Practice, the couple has access to a team of professionals, each specializing in a different field of expertise. The collaborative team model uses licensed mental health professionals as coaches for the marriage partners, child specialists to give the children a voice in the process, and a financial specialist (such as a certified financial practitioner or certified divorce financial analyst) as a neutral to help advise the couple on the impact of their financial decisions. There are advisors who assist with various areas of expertise, helping with specific tasks relating to the life transition of the divorcing couple. All the professionals involved – the attorneys, the mental health professionals, the financial planners and the advisors, have special training to help them take a holistic view of the family’s needs. Do the Professionals work directly for South Jersey Collaborative Divorce Professionals? No. South Jersey Collaborative Divorce Professionals, a non-profit organization, is an association of independent members. All of our members are employed independently, although some are employed by the same firm. None of our members work directly for South Jersey Collaborative Divorce Professionals. We do not have any financial or business interest in each other’s practices. When should I talk with a collaborative attorney? Any person approaching divorce should talk with a collaborative attorney as early as possible to review all the options that may be available in his or her situation. The earlier this is done, the more chance there is for the other spouse to agree to see settlement as the aim. Collaborative attorneys can serve as coaches to guide you through that process or through alternatives like mediation. No matter what settlement approach you choose, a collaborative attorney can be a valuable ally. How does the practice of collaborative law affect attorney’s fees? In conventional representation, attorneys spend much of their time preparing documents which are only for the court’s use or to persuade a judge, producing expenses that don’t have direct value to the client. The collaborative law process has advantages that tend to reduce attorney fees. The biggest savings result from avoiding the most costly parts of litigation (i.e. hearings, retention of multiple expert witnesses, depositions and other formal discovery methods as well as the preparation for and attendance at a trial). Attorney time, in the collaborative process, is spent in direct service to the client in personal meetings and 4-way conferences with your spouse and his or her collaborative attorney. Collaborative Law is worth considering if some or all of the following are true for you: (a) you want a civilized, rational resolution of the issues, (b) you would like to keep open the possibility of a viable working relationship with your partner down the road, (c) you and your partner will be raising children together and you want the best working relationship possible, (d) you want to protect your children from the harm associated with litigation between parents, (e) you have ethical or spiritual beliefs that place high value on taking personal responsibility for handling conflicts with integrity, (f) you value control and autonomous decision making and do not want to hand over decisions about restructuring your financial and parenting arrangements to a stranger (a judge), (g) you recognize the restricted and often unpredictable range of outcomes and “rough justice” generally available in the public court system and want a more creative and individualized range of choices available to you and your spouse or partner for resolving the issues.